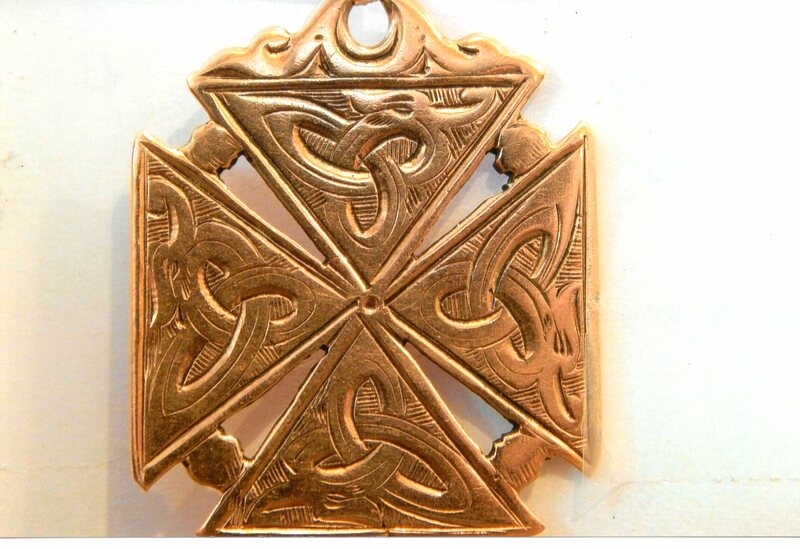 You are here: Home>People>Hurling Medals from 100 years ago! 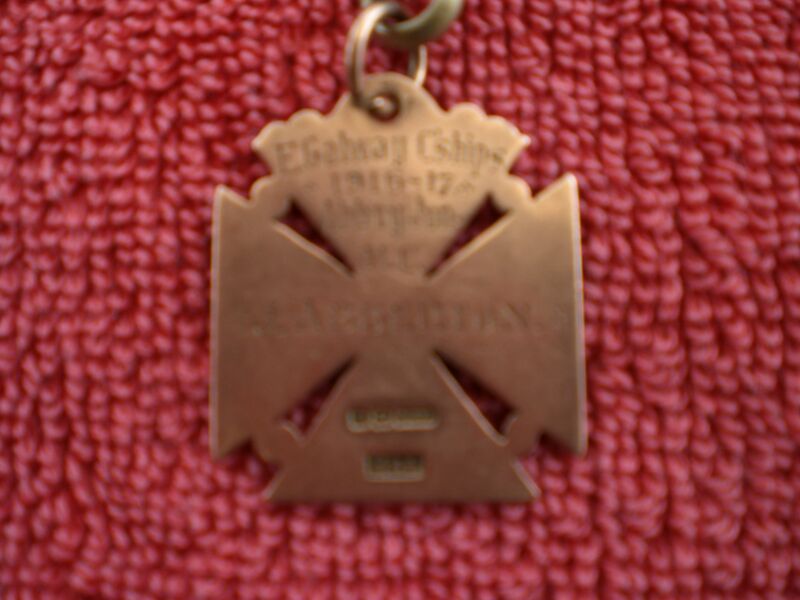 This gold medal was received by Jack Abberton, Abbey, who was a member of the 1916-17 Abbey Junior Champions hurling club team. 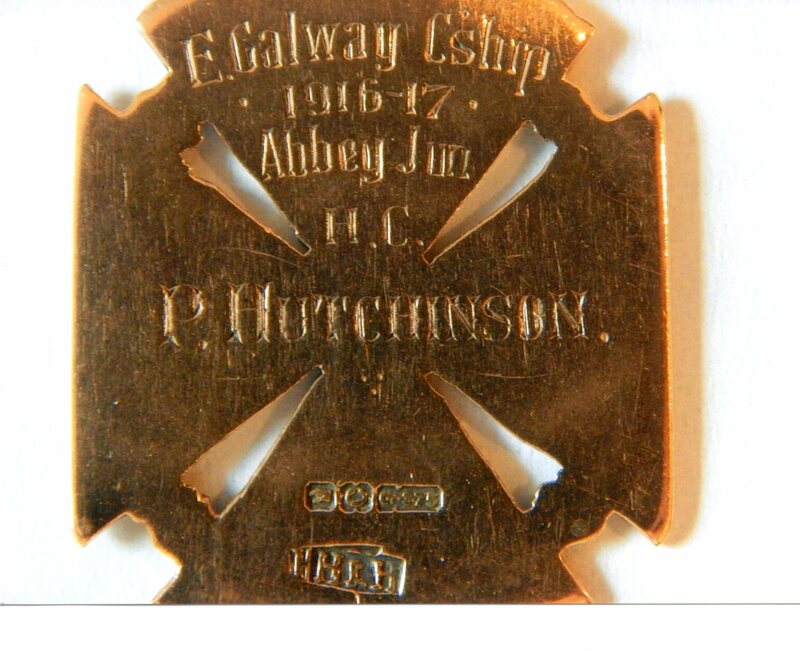 Michael Wright recently recalled the following story: In 1994 two daughters of Paddy Hutchinson – member of the 1916-1917 Abbey Junior Champions team – Maureen and Joan with Joan’s daughter, Joanie, from Boston, USA visited Abbey to meet with their cousin Mary Wright. During the visit the group was very kindly invited by Algie and Eva Abberton for tea and the American’s conversation soon turned to their father’s hurling. Algie then showed them his uncle Jack’s 1916-17 championship medal and they immediately exclaimed – “We have an identical medal at home in Boston! 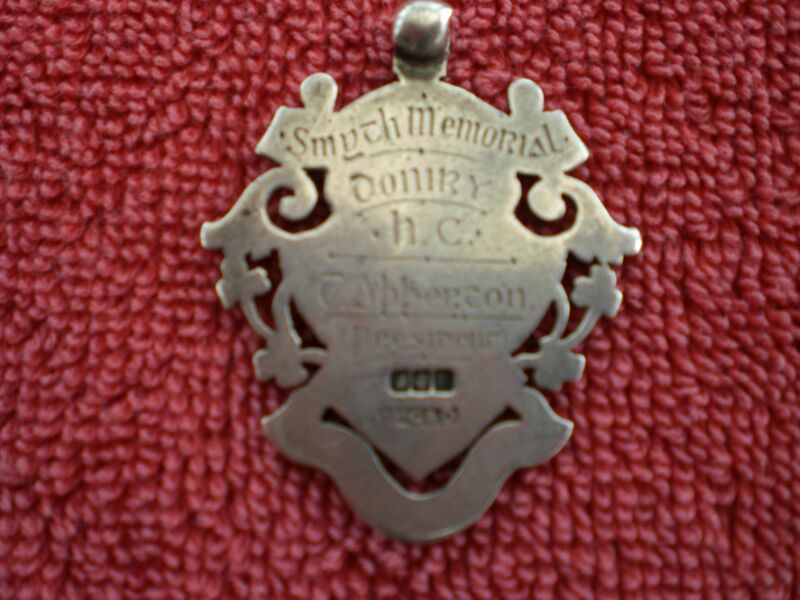 We all assumed this medal was from the Duniry 1906 winning team that both our father and our uncle Michael played in”. It is now treasured among his other American hurling awards by Paddy Hutchinson’s grand daughter Joanie in her home in Boston. 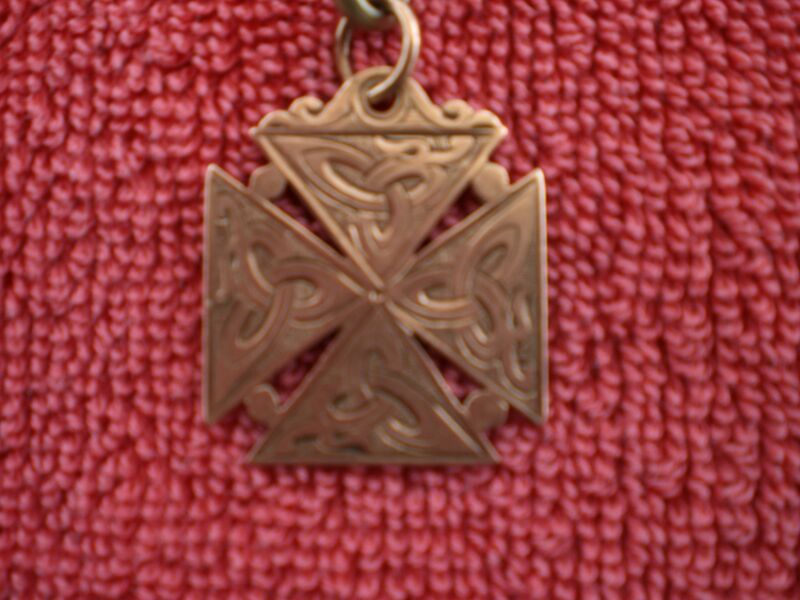 The inscription on this medal states: E Galway Cship . 1916-17 . Abbey Jun H C . P Hutchinson. Photo courtesy Joanie Durgin from Boston! 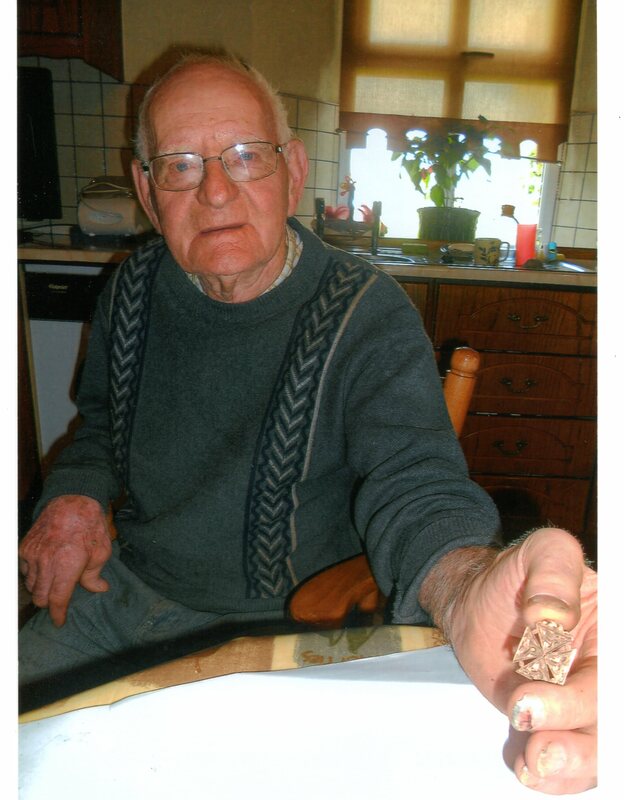 Jack Abberton always recounted details of a hurling tournament in Tynagh probably in 1911, won by Duniry Hurling Club. At that time hurling matches were played with teams of 17 a-side and 4 poles at either end of the pitch. Scoring within the inner poles gave you a goal and scoring within the outer poles merited a point. Jack told the story that each member of the winning team was awarded a silver medal known as the ‘Smyth Memorial Medal’ and he held such a medal awarded to T Abberton President. 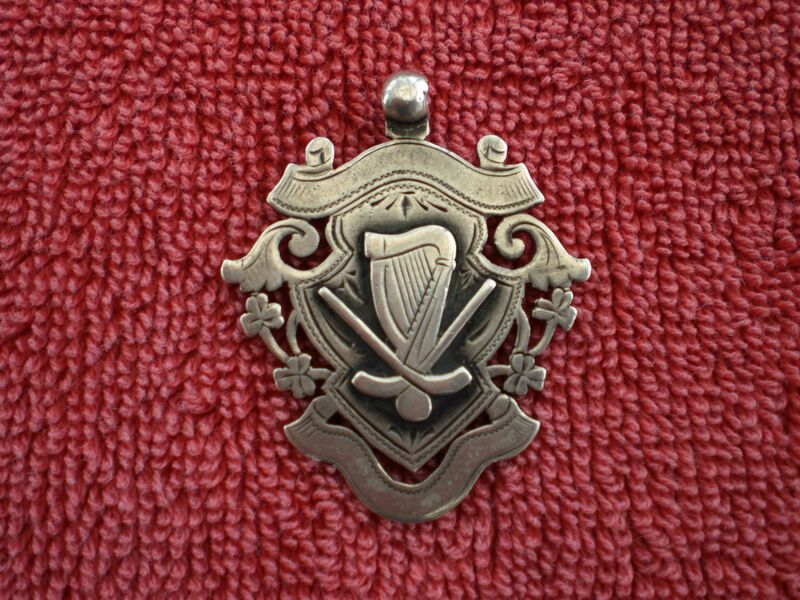 These silver medals were donated by the Smyth Family from Reaghan in memory of members of their family who were great hurlers in their day. Algie Abberton holding his uncle Jack’s medal. Photo courtesy Michael Wright. This page was added on 04/09/2017.